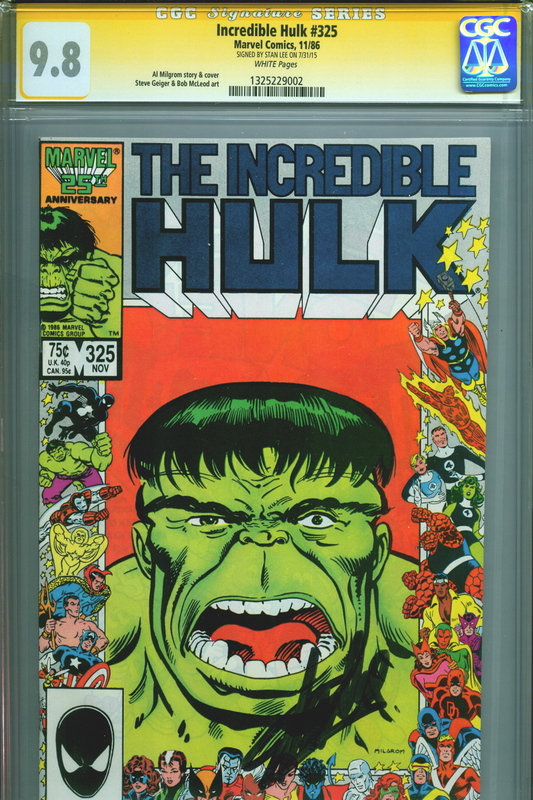 This copy of Incredible Hulk #325 features the Marvel 25th Anniversary cover with story and cover artwork by Al Milgrom and interior art by Steve Geiger and Bob McLeod. 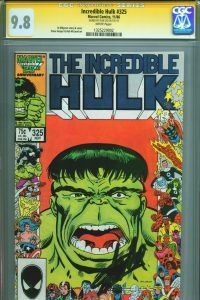 Signed by hand by Stan Lee, it is professionally graded by CGC and is part of their special Signature Series. With Signature Series books a certified witness, employed by CGC, actually observes the signing of the comic and then immediately takes possession of the book so there is no possibility of the real autograph being switched out with another.